Imagine that we have the opportunity to observe two classrooms where the teachers are discussing the Boston Tea Party. Both teachers have been integrating certain ideas across several subject matters, but they do not have the same agenda. In classroom A, the teacher highlights an integrative theme mentioned earlier in this book, dependence and independence. The students have already read the history of the Boston Tea Party. To foster collaborative learning, the teacher divides the class into groups of two or three. The students in each group are supposed to make what the teacher calls a “dependency map.” “Who depends on whom, how much, and in what ways?” the teacher asks. The students set out to diagram some of the intricacies behind the Boston Tea Party. For example, the Boston tea sellers were not entirely dependent on British tea; there was a thriving black market in Dutch tea. There is reason to be puzzled here. A distinction was promised between content and skills integration, yet the two teachers seem to be doing essentially the same thing. In both classrooms A and B, the students are working in groups, making diagrams, and highlighting dependency relationships. Where, then, lies the difference? The difference cannot be seen clearly in one lesson on one topic. However, if we look across several lessons in different subjects, we begin to see the essence of two contrasting attempts at integration across the curriculum. In classroom A, the approach is thematic: dependence and independence is the recurrent motif. In another lesson, an introduction to the concept of ecology, the teacher involves the students in discussing (not concept mapping) patterns of dependence and independence in the food web. In exploring a short story about a child who runs away from home, the students make up additional episodes for the story, showing how the child just shifts his dependencies rather than become independent. However, in classroom B, where the students also study ecology and read the story about the boy who ran away, matters play out differently. As part of their ecology unit, the students make a concept map of the ecological system of a pond: They highlight cause-and-effect relationships and predict the behavior of the system over time. After the students read the short story, the teacher asks them to prepare concept maps of the problems the child faces upon running away from home: how to find food, how to find shelter, how to feel safe, and so on. These examples illustrate the difference between content-oriented integration and skill-oriented integration. The first approach is “thematic” in nature, aimed at helping students acquire “higher-order content,” general ideas such as dependency, that they can use to order and illuminate their understanding of particular topics and situations. The second approach is “procedural” in nature, to enable students to acquire general skills and strategies that they can apply widely to understand situations and solve problems. In this chapter, we focus on the potentials of integrating thinking and learning skills across the curriculum. When, how, and why might we cultivate such an approach to integration? What are its promises and its pitfalls? In its broadest sense curriculum integration embraces not just the interweaving of subjects (e.g., science and social studies) but of any curriculum elements (e.g., skills and content) that might be taught more effectively in relation to each other than separately. While virtually all educators agree that students ought to acquire both skills needed to acquire knowledge and some knowledge itself, there is nowhere near unanimity on how instruction aiming toward these complementary sets of goals should be organized. From a curriculum integration perspective, it makes obvious sense to try to build solid connections between the development of skills and the teaching of content, because the “skills” may be helpful, even essential, to students trying to unlock the content. But there are many obstacles to systematic skills-content integration. To bring these issues to the fore, it is helpful to contrast a standard view of the relationship between skills and content and a futuristic alternative. Conventional Paradigm: What is most striking in the prevailing approach to skills and content is the dichotomy between elementary and secondary education. In elementary schools, skill teaching, notably the “3Rs,” is prominent, while the content areas of science and social studies get short shrift. The skill teaching orientation is so pervasive that it engulfs whatever it comes in contact with. Thus, basal readers run students through a gauntlet of literature skills in addition to regular reading skills, social studies emphasizes map skills, and proponents of higher-level thinking see their elevated visions transformed into still more skills lists. Advocates for stronger content emphasis are rebuffed by the argument that young students must focus on “the skills” so they can handle the massive amount of content awaiting them in the years ahead. Proponents of teaching reading and writing skills across the elementary curriculum receive a mixed reaction. On the one hand, there is a positive response, since endorsement is being given for doing more of what most elementary teachers are disposed to do anyway, which is to teach language arts. On the other hand, the proposal is viewed as “unfair,” since it steals minutes from subjects that are already time-poor. In the secondary schools, subject matter content dominates, and the prevailing assumption is that students have already learned basic skills. Skill-deficient students are assumed to need remedial help. More advanced instruction in reading and especially writing are assumed to be the province of English teachers. In their English classes, however, students actually are instructed in and practice reading literature and writing in a literary vein. Proponents of reading and writing in the content areas often are rejected because of unwillingness to sacrifice any amount of subject matter coverage. Proponents of higher-level thinking often are discounted on the grounds that the existing subject matter content already is intellectually sophisticated and that to learn it well is to learn to think, at least in an academic context. Futuristic Alternative: In this conception, “curriculum” throughout the grades has two levels: the curriculum and the metacurriculum. The curriculum is comprised of substantive content and concepts—of knowledge about the world deemed vital for students to acquire. Content learning is regarded as important for all students, even those in the primary grades, and is not shunted aside in the name of basic skills. The curriculum is about important topics and ideas, and instruction aims to make these ideas come alive in a manner appropriate to children of different ages, developmental stages, and degrees of background knowledge. Except during the time when instruction in decoding is a major focus, literature, not “reading,” is viewed as a subject, and materials are selected like those in other content subjects: for their capacity to illuminate experience. The secondary curriculum revolves around traditional content, sometimes linked across two or more subjects, in the manner described in previous chapters. The metacurriculum is comprised of learning skills and strategies selected on the basis of their value in helping students (1) acquire the curriculum content being taught and (2) develop the capacity to think and learn independently. The metacurriculum is also defined for all grades; and all teachers, regardless of departmental affiliation, have metacurricular and curricular responsibilities. The metacurriculum is integrated with the curriculum, meaning that the skills are selected and instruction in them “scheduled” so they are directly applicable to learning the content being studied in a particular grade or subject; connections are made clear to students. The metacurriculum is integrated across subjects. For elementary teachers in “self-contained” classrooms, this means teaching the same learning skills in several subjects, highlighting similarities and differences. For secondary (and departmentalized elementary) teachers, it means working out a sequence of learning skills that dovetails with the content sequence of each subject; using a common “learning skills” vocabulary; and, as their nondepartmentalized colleagues would do, comparing and contrasting how the skills can be used to learn different subjects. By integrating the curriculum and a metacurriculum in the manner suggested, the acquisition of vital learning skills would be enhanced, perhaps significantly, by reinforcement and refinement through a range of applications. Students would be given a far more coherent set of learning experiences—they would know why they were being taught various “skills,” and they would know better how to mobilize themselves to make sense of curriculum content. Teachers from different departments would have a means of working together toward common goals without sacrificing their own subject matter concerns. “Process” and “content” goals would be unified; they would not compete against one another (although there may always be some degree of tension between them). Thus, there seems to be a great deal of potential. But can the proposed scenario withstand scrutiny? To determine this, a number of pivotal questions must be addressed. First, we need to identify the kinds of skills that would be included in a “metacurriculum.” How would they be chosen? How would a metaskills list compare to prevailing lists of “basic skills?” Second, we need to give careful consideration to the assumptions that underlie the conventional paradigm. Teaching from within that paradigm is guided by the beliefs that most secondary students already have the kinds of skills in question, that the subject matter already embodies higher-level thinking skills, that skills shouldn't be sacrificed for content in elementary education, and that content shouldn't be sacrificed for skills in secondary education. Is there evidence to refute the empirical claims and are approaches available that successfully address the concerns about proper emphasis? Third, we need to analyze the practical implications of trying to teach skills “in” a content area. How would curriculum and instruction be organized? What would teachers actually do? What alternatives are possible and what are the trade-offs? What does skills-content integration “look like” in practice? Perhaps the most obvious question that a metacurriculum raises concerns its content: What does the metacurriculum contain that the familiar curriculum leaves out? Here it is useful to focus on three distinctions that help to chart the range of the metacurriculum: thinking skills and symbolic skills, familiar and innovative skills, and teaching through practicing and through structuring. We discuss each distinction in turn. With the development of students' thinking an important agenda for many contemporary educators, it is easy to see that thinking skills would be an important part of the metacurriculum. There is ample opportunity to integrate skills of decision making, problem solving, creative thinking, and more across the subject matters. For example, studying the Boston Tea Party provides an occasion for students to project themselves into history. Faced with the tea tax, what options did the colonists have? What else might they have done? What are the pros and the cons of various options? Such exploration can help youngsters appreciate that history is not inevitable; it is in large part made of human choices. Moreover, students could apply the same decision-making strategies to explore the thinking of the child who ran away from home. In the context of ecology, they could examine the decisions of lawmakers concerned about protecting the environment. In other words, strategies of decision making and many other thinking skills lend themselves to integration into several subject matters. However, there is another important category besides thinking skills: symbolic skills. Recall, for example, the concept mapping activities pursued in classroom B in the introduction. Concept mapping basically is a novel mode of representation designed to help learners organize their ideas about a topic. Or consider, for instance, higher-order reading skills or writing tactics such as keeping a log of your thinking in a subject matter. These, too, are all skills in the effective handling of representations for better thinking and learning. Moreover, like thinking skills, these symbolic skills often are neglected by the conventional curriculum. It is worth noting that the contrast between thinking and symbolic skills is far from sharp: symbolic skills are thinking skills of a sort. By and large, we do not just think, we think by means of symbolic vehicles such as words and images, sometimes with the help of pencil and paper and sometimes just in our heads. Nonetheless, a rough distinction between symbolic skills and more paradigmatic thinking skills such as decision making and problem solving seems useful for the sake of enlarging our sense of the metacurriculum. Among symbolic and thinking skills, it is inevitable that some are more familiar, widely recognized, and even taught; others are less familiar and are rarely addressed in education. For example, the symbolic skills of reading and writing receive considerable attention. In contrast, concept maps or “thought diaries” have no place in the typical classroom, even though they appear to be valuable. Categorizing and seeking causes and effects are two of the most familiar thinking skills. In the context of science or history, it is not uncommon to focus students' attention on causes or categories. But often the activities have more to do with memorizing the answers suggested by the text than engaging students in their own explorations. At least classificatory, causal, and other relationships receive some attention. In contrast, certain kinds of thinking rarely surface in school settings. A good example is systems-oriented thinking where families, economies, ecologies, living organisms, and so on are all viewed as complex interacting systems that display “emergent” system properties. This rich perspective is addressed in studying ecology. However, because there is usually no effort to generalize the perspective, one cannot expect youngsters to acquire a general thinking skill. For any target thinking or symbolic skills, there are at least two kinds of instructional activities to consider: practicing and structuring. Students need practice to be able to use any skill effectively with other activities. In addition, most skills invite efforts to restructure them into more effective patterns. For example, spontaneous decision making tends to be a bit blind: people often consider only the obvious options, without searching for more creative answers that might serve better. Accordingly, a typical agenda in the teaching of thinking is to restructure students' decision making so they pay more attention to creative options. The same can be said for symbolic skills. It is well established that students need extensive practice with reading to develop reflexive pattern recognition of a large vocabulary of words and phrases. As their encoding becomes more automatized, their minds are freed to deal with higher-order aspects of the text. At the same time, however, students' reading invites restructuring in a number of ways. For instance, students typically approach a reading assignment by beginning at the beginning and reading every word until the end. However, research shows that this is not a very effective way to read for either retention or understanding. Restructured patterns of reading that include a preliminary scan, the formulation of questions, and only partial reading of the body of the text can be much more effective. Simply to identify these contrasts—thinking skills and symbolic skills, familiar and innovative skills, and practicing and restructuring activities—is to show that the potential reach of the metacurriculum is large. Practicing the most familiar symbolic skills is a well-established element of schooling: students experience plenty of practice in reading, writing, and arithmetic, for example. This is simply to say that “basic skills” occupy a well-defined niche in the scheme we have laid out. However, as soon as we depart even a little from the trio of symbolic, familiar, and learning by practicing, we enter the realm of the metacurriculum where conventional instruction ventures less often. In particular, thinking skills in contrast with symbolic skills receive little attention. Innovative skills are neglected in favor of more familiar skills—concept mapping versus conventional essay writing, for example. Finally, most of the instruction applied even to familiar symbolic skills, such as reading and writing, highlights practice much more than efforts to structure or restructure. This description might make the metacurriculum sound larger than the curriculum and discourage efforts to develop it, but that would be too hasty a reaction. Indeed, the potential topics of a metacurriculum are innumerable, just as the potential content-oriented themes for integration are innumerable. But it makes no more sense to try to teach all of the possible metacurriculum than it would to try to use dozens of content-oriented integrative themes simultaneously. We must always select just a few areas to focus on. It is certainly not our purpose here to dictate the choice; rather, we simply hope to raise awareness of the range of possibilities. Teachers planning a metacurriculum would do well to look among familiar symbolic and thinking skills—reading, writing, decision making, problem solving—where there is great opportunity to cultivate students' abilities. Also, they would do well to look to less familiar skills, considering the introduction of concept mapping or systems thinking. Too, they would do well to adopt ways of restructuring students' symbolic and thinking skills, not relying on practice alone to amplify students' abilities. We can see that a rich metacurriculum awaits any educators concerned enough to pursue it. However, if experience with education teaches us anything, it is that change often comes hard. Successful change demands appreciating the forces that foster and inhibit innovation. Among those forces are an array of beliefs about the adequacy of the conventional paradigm of education, that defend it even as they petrify it. While this is a large topic, for present purposes four familiar “misconceptions” seem especially worth commentary. Misconception 1: Students already have these skills. Sometimes educators feel that there is no need to cultivate certain familiar skills, such as everyday decision making or problem solving. After all, these are part of life; why should they require schooling? This posture is understandable, but it does not accord with research into the difficulties students and adults actually experience. Commonplace thinking processes, such as decision making, are often handled poorly; people commonly make decisions without searching for creative options. Also, people usually tackle problems without analyzing their essence, a powerful move that often reveals “back door” solutions. Just because students “get by” with decision making and other familiar skills does not mean they need no help. Misconception 2: The subject matters already embody these skills. It is often believed that nothing specific need be done about many symbolic and thinking skills. Surely students can learn good writing by reading the great models of writing in the curriculum. Don't history books discuss the causes of events and encourage students to explore them? And, for those who do not catch on, well, what can you do? Unfortunately, the circumstances are not so straightforward as these points suggest. First, abundant evidence shows that learners who do not catch on spontaneously often gain substantially from efforts to spell out the principles involved; it's simply not the case that students, even when well motivated, automatically learn to their capacity. Many of the examples of symbolic and thinking skills that students find in their texts are implicit models; research indicates that students often do not recognize the significance of the models but can do so with more direct help from the teacher. In addition, content as usually taught simply does not embody many of the skills we would like to cultivate in students. History, for example, typically is taught as the story of what happened, not as a chain of human decision points or the manifestation of complex interacting systems. While students get ample exposure to narrative and descriptive organization, they get hardly any exposure to close argument or to forms of symbolic representation such as concept maps. Misconception 3: Skills are for elementary education and content for secondary education. Perhaps this is not so much a misconception as a tradition. Although the statement certainly reflects practice, few would defend it. Plainly, young children have the capacity to learn a great deal of content, and older children often show substantial shortfalls in higher-order skills. The two mesh so nicely that there is little point in segregating them from one another. Indeed, this point leads to the next. Misconception 4: There is a time and resource competition between the curriculum and the metacurriculum. Most often, this surfaces as a commitment to coverage. How can I cover the textbook if I take time out to do concept mapping or decision-making activities? To be sure, there would be a genuine time and resource competition if one set out to fill hours a day with metacurriculum content in place of curriculum content. But this would actually be difficult to do even if you wanted to: You can't pursue decision making or concept mapping very far without addressing contexts of decision or concepts to map, and those contexts and concepts might as well come from the curriculum. No doubt, it is possible to have an imbalance. But the basic answer to this concern is that a well-designed metacurriculum is highly synergistic with the curriculum. Far from undermining students' learning of content, it deepens student understanding and retention. A broad generalization from considerable research speaks to this point. There have been many efforts to enrich the curriculum with thinking skills or other metacurricular treatments. Sometimes there are marked gains in content-oriented measures; sometimes there is no significant difference in comparison with control groups. But it is very rare that there is less content learning in the innovative group. In other words, the metacurriculum often helps content learning and rarely does harm. The illusion of covering less is just that—an illusion. Perhaps fewer pages have been read, but the knowledge gains are almost always about the same or better. The topper, of course, is that gains in understanding and insight are often much greater with the innovative approach than with the standard one. In summary, a number of reasons for supporting the conventional paradigm do not appear to be valid. Of course, even if all educators came to a more enlightened perspective, there are still many forces that stand in the way of integrating the curriculum with the metacurriculum, not least of them the additional effort required from teachers who are already overworked. Accordingly, the integration of thinking and learning skills across the curriculum must be cultivated not just through argument and inspiration, but through systematic examination of options and techniques that can make it practical on a day-by-day basis. From any angle, each potential decision entails trade-offs. Let's now identify and briefly analyze some of the main alternatives. In which subjects might the skills be taught? This question is often interpreted as: Will the skills be taught in elementary reading/language arts classes (and secondary English classes) or in both reading/English and content area classes? With either option, the reading/English program is the hub of the operation and attention focuses on whether there is follow through by content area teachers on the periphery. A more egalitarian schema would have each subject responsible for the “lead” teaching of some thinking and learning skills and for the reinforcement and application of others. Thus, while English teachers might continue to assume greater than average responsibility for instruction in reading and writing, science teachers could assume the same degree of responsibility for skills of empirical inquiry, social studies and health teachers for skills in decision making, and math teachers for approaches to problem solving. This hardly sounds revolutionary. What would be different is if, for instance, the social studies curriculum were organized to both “teach” decision-making skills (confident that they would be reinforced in other subjects) and to reinforce skills in reading, writing, empirical inquiry, and problem solving that had been introduced, respectively, in English, science, and mathematics classes. We might call this the “multi-hub” approach. Another alternative would be simply to identify the skills to be taught along with the subjects and years in which they are to be taught, without making any subject especially responsible for particular skills. While many arrangements are possible, a plan for at least some degree of mutual reinforcement is necessary for a learning skill or strategy to become a well-established, flexible part of the student's cognitive repertoire. How might the skill development be accomplished? Will instruction be explicit or implicit? Will evaluation of skill learning be implicit or explicit? In implicit skills integration, activities are planned that require students to use the skills deemed important, but the teacher does not present lessons on the skills and students do not do assignments whose main purpose is skill building. Some coaching of the skills is likely as teachers guide students in the completion of skill-embedded tasks, but the coaching is ad hoc. Similarly, evaluation of skill learning can be “implicit” through the design of tests that require use of the skills but do not measure skill acquisition per se or result in skills grades. In explicit skills integration, the skills are taught formally; that is, they are identified, defined, modeled, and coached. To provide for adequate practice, students may need to complete assignments focused on skill building, and the “content” of the exercises may not always relate to the main subject matter content. If the philosophy of explicitness is applied to student evaluation, the skills can also be tested, and, at least theoretically, students can be given a grade distinct from the content grade. More simply, the course grade can be defined as an implicit or explicit amalgam of skill attainments and content knowledge. The tests may either have separate skills items or, more economically, may be designed so that student performance can be evaluated from both a skills and a content perspective. Decisions on degree of explicitness are pivotal in determining what a given curriculum ultimately will offer students. There are no easy answers and there has been limited research on the trade-offs. One rule of thumb: The more explicit the skill teaching, the more demanding of instructional time from the content area teacher; the more implicit, the more ambiguous the skill development program. Assuming fidelity to most if not all of the prevailing content goals of the curriculum, this line of reasoning would seem to favor the implicit approach. As many teachers fear, there actually may not be time to interpolate an explicit skills teaching program without radical excisions of content. On the other hand, the weight of research suggests that a more explicit approach yields better learning. More fundamentally, if students don't really have the skills, and if they need the skills to really “get” the content (or to get it without being spoonfed), then how can we defend a curriculum that does not teach them what they need to know, in the name of content coverage? How closely related will the learning of the skills be to the learning of the content? On one end of the continuum, skills and content may be loosely coupled. In this model, students are given instruction in skills that are needed for learning content, but there is no plan to link the skill teaching with particular content activities. The curriculum may include an instructional sequence on outlining, for example, on the grounds that outlining is a generally useful study skill, but students won't necessarily use outlining to learn course content. The current elementary curriculum as a whole focuses on an array of skills that are loosely coupled with the learning of a limited amount of science and social studies content. At either the elementary or secondary level, teachers may make a special effort to encourage students to “generate questions” on the grounds that a disposition to question will broadly benefit their learning, but curriculum units per se may not revolve around question generating. The skill and the content thus are perceived as connected but only in a general way. What topic or content will the students be learning about? What activities and assignments will the students be doing? What skills will students need to carry out the activities and assignments? An instructional sequence is then generated to help students develop the selected skills, with an eye toward improving their performance in the content learning activity. The coupling of skills and content may be quite specific. For example, a life science teacher planning to present the circulatory system by means of an analogy to the flow of traffic through a network of highways may decide to lay the groundwork by introducing the general notion of understanding through analogy and giving students warm-up exercises in identifying analogies and evaluating their strengths and limitations. The rationale for such skill practice would be even greater if analogies were used often in the course to help students grasp difficult concepts. In a social studies unit we are familiar with, 7th grade students are involved in a simulation of a pre-Civil War political convention called to determine what could be done to resolve sectional tensions (and ultimately to see whether the impending national catastrophe could be avoided). A “tightly coupled” instructional sequence on decision making could provide students with tools useful for the simulation activity (and also for other course topics and for decision making outside of school). When can skills be taught in relation to the content? It is also possible to plan to help students develop their skills in the midst of or during content instruction. As suggested earlier, skills coaching can be provided “as you go” or on a “need to know” basis as teachers help students tackle their assignments. Assuming that the assignments are the ones really wanted by the teacher for content learning, and have not simply been given for the sake of covering skills, the coaching can be said to be directed toward simultaneous development of learning skills and content knowledge. In another variation, skill-building can be planned or improvised as needs are identified. Even where the skills and content don't blend into each other, the teacher committed to skills development may opt to incorporate skills instruction and practice in parallel with content instruction rather than push it into isolated curriculum segments. How might cross-curricular skills integration be organized? Skills and content have the potential to be doubly integrated: they can be integrated both within a subject and across the curriculum. The cross-curricular version obviously requires more planning and coordination. The essential idea is that teachers at a grade level, representing different subject areas (or an elementary teacher planning instruction in several subject areas) identify thinking and learning skills important for two or more subjects and decide to interrelate instruction in each subject to achieve greater impact. The desired degree of impact can be achieved by using the same language of instruction, so that students are hearing the same terms used in different subjects, and by organizing the curriculum so that the skills selected for common emphasis can be addressed during the same portion of the school year. An elementary teacher or team of middle school teachers, for example, might decide that the skill of making comparisons might be approached profitably in tandem in several subjects. In English, the focus might be on comparison of characters or books; in life science on systems of the body; in social studies on cultural regions; and in math, on types of triangles. Similarly, a high school team might decide to zero in on cause-effect reasoning and then align curricular elements for which this form of explanation might be especially useful: Macbeth in English, for instance; the American Revolution in social studies; oxidation-reduction reactions in chemistry; and, more metaphorically, deductive proofs in geometry. 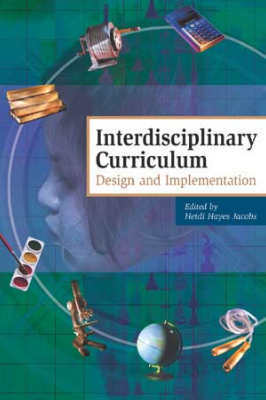 The desirability of developing such cross-curricular skills-content connections can be evaluated by the same criteria proposed in Chapter 3 for the integration of content: validity for each subject, benefit to each subject, value of the skill beyond the confines of the curriculum, contribution to desirable learning habits, and a host of practical criteria such as the availability of time for curriculum development. Which will be the focus of attention: the skills or the content? On one end of a continuum of possibilities is content focus. Here, whatever is done in the way of skill teaching is done totally in the service of content learning. Whatever skill development occurs is regarded as a side benefit rather than an instructional objective. On the other end of the continuum is skills focus, where whatever examination of content takes place is done totally in the service of skill development. A model case familiar to elementary teachers is the widely used “SARA kit,” comprised of a series of readings on myriad topics. The readings are vehicles not for study of the topics but for word analysis and “comprehension” practice. There are numerous points in between on the spectrum. One is an arrangement where there is an explicit content focus in content subjects and skills focus in reading, remedial, and study skills classes. Thus, while there might be a skills-content integration throughout the program, the nature of the relationship in different settings contrasts markedly. Another approach to the skills-content relationship is to view skills and content as objects of alternating instructional attention. In this approach, it is understood that student attention over the course of the year, and even within a single instructional period, will be directed at some times toward the content of what is being taught and at other times toward the skill aspect. By analogy to painting, the content is the “figure” and the skills are the “ground.” Normally, the viewer focuses on the figure, but attention can be shifted to the ground and back again. Applying the metaphor to instruction, we might say that an important part of teaching artistry is the smooth orchestration of shifts of attention to and from the content that is in the foreground to background metacognitive skills. One final way to view the issue of skills vs. content focus is the “piano student analogy.” The curriculum for the piano student involves a sequential series of exercises aimed at developing technical skills and one or more whole pieces that require skills integration and application (and much more). The pieces—the real music—are analogous to curriculum content. Metacognitive and other learning skills are not necessarily ends in themselves, but they may be essential to virtuoso content learning. In that spirit, secondary subject matter teachers ought genuinely to embrace skills-content integration. By the same token, an elementary curriculum comprised of the equivalent of scales and arpeggios can be a tedious affair. By harnessing skills practice toward real “pieces”—toward exciting content—elementary teachers, like their secondary counterparts, can bring to the fore some of the best ideas in the world. With this vision of integrating the curriculum and the metacurriculum before us, it is natural to ask what results might be obtained. This question is not easily answered because there are so many different ways that such an agenda can be approached. However, we can certainly suggest the trend of the outcomes. The most obvious payoff is a gain in students' mastery of the metacurriculum—improvement in thinking and learning skills. After all, if there is a rule that characterizes education it is that students learn some of what is taught. In most settings, what we have characterized as the metacurriculum is hardly taught at all. Accordingly, systematic attention to it will yield at least some valuable learning of higher-order skills. Just as important are likely gains in the mastery of the subjects. As noted earlier, we can expect at least equal, and often better, content retention. We can expect deeper understanding of the subject matter and improved problem solving, particularly on “transfer” problems that ask students to apply their knowledge in new situations. Beyond higher-order skills and deeper content mastery, we can expect improvements in broader and subtler characteristics of the learner. Students are likely to become more autonomous and proactive in their conduct as thinkers and learners. They are also likely to be more prepared to make connections between contexts that at first seem quite separate. Imagine, for example, students who have approached the Boston Tea Party and many other topics in different subject matters from the standpoint of decision making, concept mapping, and other higher order skills. Now suppose that the headlines in today's newspaper report the bombing of an abortion clinic. If the integrated program has done its job, the students in such a class will be equipped and indeed inclined to see the event in a broad perspective. They might ask questions like these: How is such an act of protest like, and not like, the Boston Tea Party? What are the analogies and disanalogies in cause, effect, means, and end of these two acts of protest? From the standpoint of decision making, what options do those who perpetrate such an act have? Why might they have chosen to proceed as they did? What similar decisions to protest have others made at other times, and how have their choices played out? Questions such as these make it clear that no topic—not the Boston Tea Party nor the bombing of the clinic nor the Pythagorean Theorem—can assume rich significance without probing questions that make connections to higher principles and other contexts. Recalling the piano student analogy, students need the technique and creative reach to find the music in the relationships of things. And while curriculum content alone may give them some notes and tunes as points of departure, it is the metacurriculum that cultivates their art with the instruments of their minds. Copyright © 1989 by Association for Supervision and Curriculum Development. All rights reserved. No part of this publication—including the drawings, graphs, illustrations, or chapters, except for brief quotations in critical reviews or articles—may be reproduced or transmitted in any form or by any means, electronic or mechanical, including photocopy, recording, or any information storage and retrieval system, without permission from ASCD.